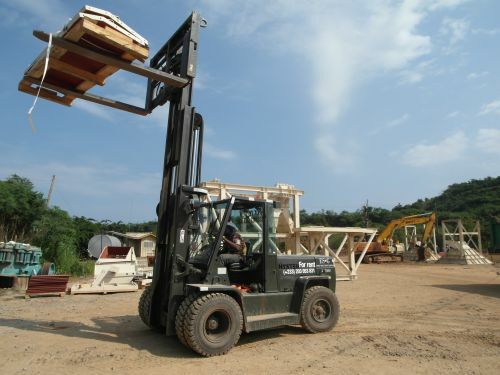 ESG is specialized in the rental of well-maintained forklifts. Our operators are punctual and professional working to the strictest health and safety directives. If you are planning on renting any other vehicle, machinery or product please do not hesitate to call us with your requirements. ESG has negotiated the best prices with the most reliable suppliers in the region ! These machines are certified and are in perfect condition. - duplex mast 6.5 mtr lift height, closed height 5 mtr. - Forks 1900mm x 260mm. - Closed height 2400mm Closed height 3900mm. - Forks 2000mm x 150mm.